The city is never already there; it is a perpetual work in progress. What seems disorderly to the untrained eye is in fact often perfectly sensible. Vishal sits, his head hunched, over a sewing machine. Next to him are two other men; a half-metre across two more workers are sitting. Theirs is a typical clothing workshop in central Mumbai. On the first story of a residential area with many migrants, the room barely holds the five men, their sewing machines, bags hanging from the ceiling, and various piles on the floor. 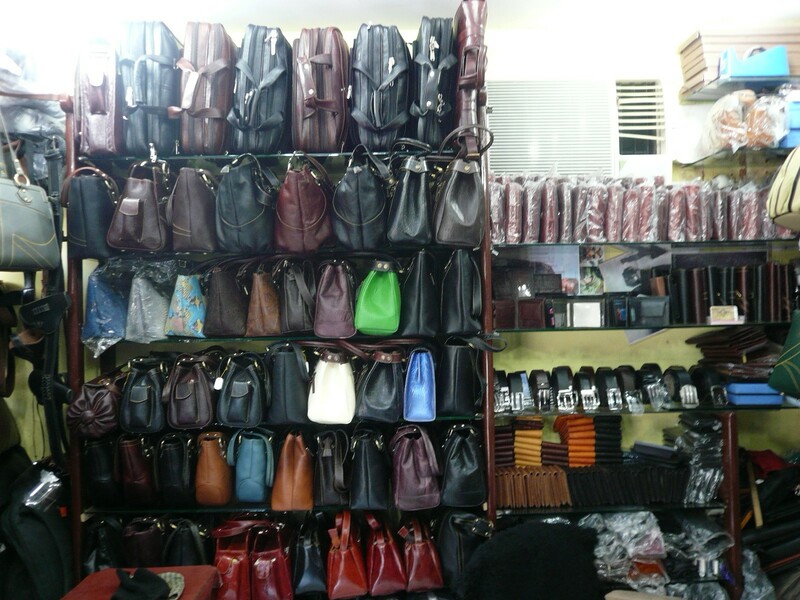 It is typical of small-scale manufacturing workshops throughout Mumbai. In Dharavi’s leather workshops, for example, workers sit amidst piles of raw material and finished goods. In the area’s plastic recycling units, value is derived from the act of sorting large barrels and grinding tiny pellets. At first sight, Vishal’s workshop seems, like these other places, unnecessarily disorganized and cluttered. Why are there all these piles on the floor, some wrapped in cloth, some tied with string, and some contained within large blue plastic bags? The men, deeply engrossed in their work, moving rhythmically to the mechanical staccato of the needles, seem to be half-submerged in stuff. One pile merges with the next; each mound seems to have layers beneath it; and picking your way through the cramped space, each bundle threatens to topple over. The workshop’s internal organization seems indicative of popular areas in Mumbai at large. It is no accident that small-scale industries proliferate in the city’s slums. Workshops and homegrown neighbourhoods are seen as polluting eyesores, as cloistered confusion. Bureaucratic planners, real-estate developers and liberal critics promise a different vision: order, neatness and efficiency. This understanding of cities owes much to the modernist script of classification. Clutter, in this view, is not simply a product of makeshift circumstance or deficient governance. Rather, it is an insult against reason and order. Robert Moses, whose segmented vision informed New York’s post-war layout, was obsessed with demarcating form and function: ‘people here, traffic there; work here, homes there; rich here, poor there’ (Berman 1984: 168). The reigning idea of a desirable city is, in this sense, a precisely delineated panorama. When threats to this vista emerge – say, with hawkers in a residential zone – the whole city seems, despairingly, to fray. Can we imagine another way of understanding the city’s form and organization? Mumbai’s competing visions generally depart from an external, God’s eye vantage point. When we peruse municipal Master Plans, or newspaper advertisements for gated enclaves, we are suspended above an already existing form. Yet seen from a different vantage point, the city is never already there; it is a perpetual work in progress. Rather than emerging out of a tangle of impoverishment or ignorance, the city is made through daily acts. A return to Vishal’s workshop demonstrates this point. What seem, at first glance, to be random piles scattered on the floor are actually deliberately arranged. In the desk immediately surrounding Vishal, for example, is one pile of men’s shirts that he has begun to assemble; the man to his right will do the collars and cuffs, and then pass it on to another to do the buttons. Another mound contains shirts that require some unique stitching on their front pockets. Yet another stack is of nearly completed garments requiring one final touch; a recent fashion is for buttons to be attached between the elbow and shoulder, for a rolled-up sleeve. Some piles bound with string come from a supplier of material; other piles in blue plastic bags will go to a distributor. When Vishal and his co-workers work towards a particular deadline, or are visited by their contractor, they know exactly which pile contains what. They work on several contracts simultaneously, each pile an archive of an order’s movement from raw material to completed shirt. What seems, to the untrained eye, confusing or confounding, is, when inhabited from within, perfectly sensible. One might argue that Vishal’s workshop is a by-product of necessity, not of choice. Surely, a more sophisticated, better-equipped work place, like a better-planned city, would offer more regimentation? Evidence suggests otherwise. As scholars of piling behaviour note, professional, white-collar workers are usually surrounded by anarchic-seeming agglomerations of paper (Sellen and Harper 2001). These piles are organic entities whose sifting and sorting make sense to workers. In other words, a small-scale workshop and large corporate office are not separated by their degree of organization. The collecting, sifting and prioritizing of piles is remarkably similar. We can extrapolate from this point to the widespread distinction between popular areas and gentrified ones. Conventionally, violation of zoning strictures is thought to define homegrown neighbourhoods, such that workshops, residences, temples, and public spaces overlap helter-skelter. Yet it is obvious that upmarket neighbourhoods display a similar disregard for segmentation. Indeed, in Mumbai’s officially residential middle-class colonies, one finds plenty of consultants’ offices, Internet cafes, yoga studios, commercial bakeries, doctors’ clinics, and the like. As in popular areas, such overlap between form and function makes eminent sense. To a remarkable degree, we still unnecessarily fetishize a disembodied ideal of urban order and form. I’ve suggested here that we would do well to acknowledge clutter – whether inside homes and workshops or across urban neighbourhoods – as a universal practice. What seems disorderly to the untrained eye is in fact often perfectly sensible. Ajay Gandhi is a post-doc fellow at the Max Planck Institute for the Study of Religious and Ethnic Diversity in Göttingen. He is also a part of the homegrown neighbourhood workshop held by the Institute of Urbanology in January 2013.